As GDC is nearly around the corner, Kathleen’s story reminded me of why this is a special show compared to the plethora of other events that happen throughout the year. While E3, PAX, Gamescom, and TGS all aim to excite consumers for what publishers and developers have been cooking up, GDC aims to educate, collaborate, and even investigate the industry as a whole. It is where developers come together to learn and share ideas - a major collective where thoughts are explored and technology is showcased - all with the greater goal of pushing the industry forward. Being so passionate about this space, I’m incredibly excited to see what unfolds this year. For one thing, Kathleen’s talk track is very interesting. Her panel, which features some of the greatest pioneers at the intersection of citizen science and gaming today, encapsulates how far the industry has matured and how much more it can offer outside of just being an entertainment medium. I noted in an earlier post that videogames are not obligated to provide accurate representations of the source material they might be pulling from, and I still stand by it. But who says that you can’t if you wanted to? Kathleen brings up Oregon Trail as one of the earliest examples, and for me, that was probably one of my favorite educational video game experiences. At the age of five, I understood more about this American migration than I would have if my teacher made me digest all of the content through a textbook. 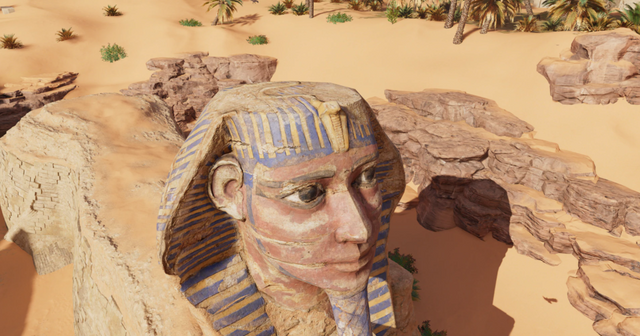 Today, developers like Ubisoft are helping classrooms by offering a special educational version of Assassin’s Creed: Origins which allows teachers and students to freely explore Ancient Egypt or walk through an audio-guided tour, where they encounter pop-up lessons and more than 700 reference pictures taken from museums and libraries. Damn. I really wish I had that back in school. I also wish I was able to learn physics through Valve’s Portal 2 Puzzle Maker or play Starcraft II in college to better understand resource management. Imagine the widespread adoption of video games as an educational tool? Learning is going to be even more fun and engaging, and this will result in creating brighter, enthusiastic minds in the future. My last blog post mentioned that the video game industry is coming to its peak, and GDC is a good place to see why. For anyone who would like to get a sneak peak of the future, this is the place to be. I am certainly keen to see what comes out of Kathleen’s panel along with the many others that will be hosted there this month.